God's Pedal Power will be in the house Sunday the Bicycle Bash festival to accept old used bikes -- Mike Olsen and his pals at GPP restores the bikes and then gives them to people in need. 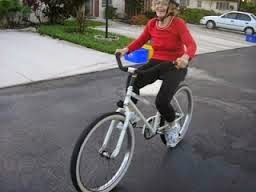 You want to turn around Tampa and make it into a bicycle town where bicycling is both safe and enjoyable? Then get involved. See you at the Bash and stop by the SWFBUD table to say hi. Enjoyed chatting tonight with Chicago Mayor Rahm Emanuel, who told SWFBUD that he recruits high-tech start-ups by building bicycle infrastructure in Chicago. Good advice for Tampa Mayor Bob Buckhorn. SWFBUD prodded the MPO to hire a company that did a study on building a paved 17-mile trail along the Tampa Bypass Canal Trail and I was happy to hear that people checked out the studyat an open house last month. You're allowed to ride or hike ride now along the Tampa Bypass Canal Trail, but the thing is it's not paved so not too many bicyclists go there unless they have a mountain bike. I also wish the water district would create better access to the current grassy trail because here's a gate opening off Morris Bridge Road that doesn't even allow a mountain bike to pass through. Please email and call your county coommissioners and advise them them to build a paved Tampa Bypass Canal Trail. Welcome to the Tampa area and Hillsborough County where even people who say they support bicycling files lawsuits to stop trail projects. Eye doctor James Gills III, who is a bicyclist and uses the Pinellas Trail for his bike rides and whose family is connected to the Ironman event, sues Hillsborough County to stop connector trail between Upper Tampa Bay and Suncoast trails. It could delay project and jeopardize funding. Here's the story. 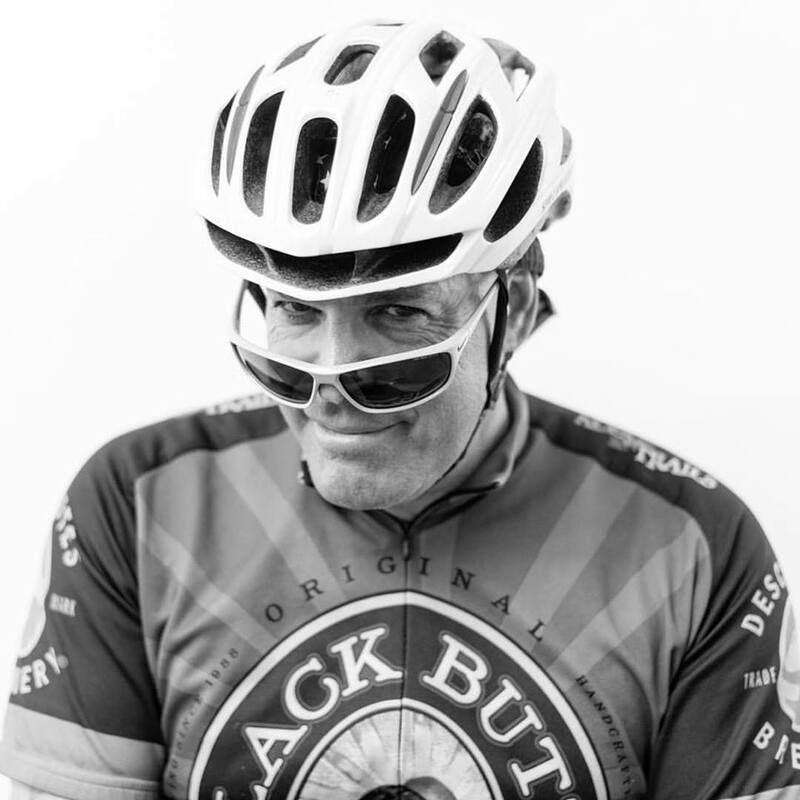 "The Big Turnaround: Bridging the Divide to Becoming a Great Bicycle Town"
Andy Clarke, League of American Bicyclists president -- What makes a great bike town? 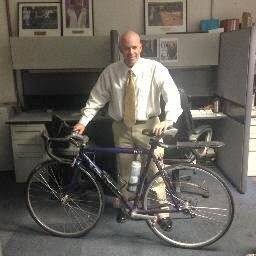 Rick Baker, former mayor of St. Petersburg -- Why should an elected official invest in bicycling? 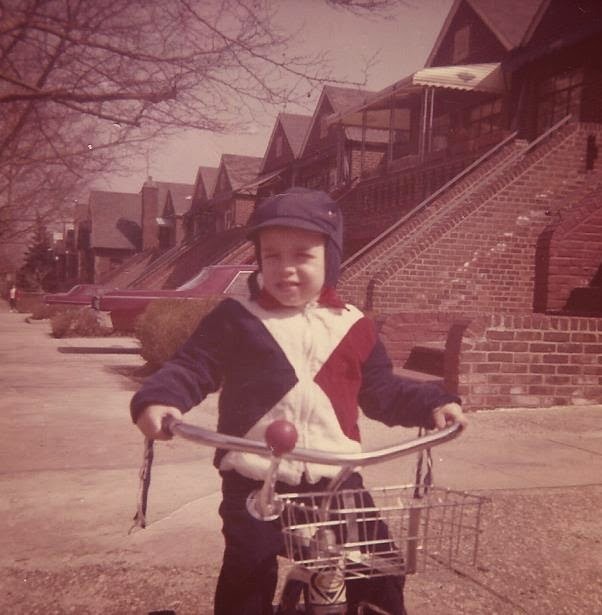 Cheryl Stacks, St. Petersburg bike-ped coordinator -- How do you keep bicycle projects rolling? Jean Duncan, Tampa transportation director -- How does Tampa turn things around? Tim Bustos, Florida Bicycle Association executive director -- How do we bridge the hopes of advocates with the goals of public officials? There was a fatal cycling accident in our area today. Forrest Flaniken, an Eastside Cycling Club (ECC) member, was hit and killed by an 18-year old motorist who was later stopped after attempting to flee the scene. Initial reports are that the driver was under the influence. This occurred on Avalon Park Blvd shortly before 3 pm. 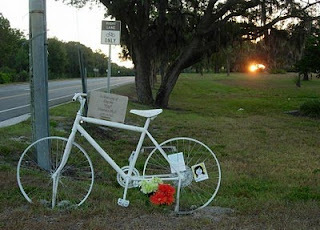 The ECC is having a Ride of Silence tonight, Monday 10/15, at 6 pm in honor of Forrest. It will leave from the Avalon Park YMCA. It will be a slow ride of about 12 mph through the neighborhoods and on Avalon Park. Any type of bike will be fine for this ride. Please come out and show your support. Seminole Heights is a special place. We have a Seminole Heights Bicycle Club and a Seminole Heights Sunday Market and when you combine the two you get the Seminole Heights Bicycle Club-run bike valet thanks to the bike racks supplied by Mr. Bike Valet himself, Jim Shirk. Daily confessions of an early-morning bicyclist II: Just after dawn Bayshore Blvd in Tampa is closed for a running event, I believe -- and I bike the empty boulevard and revel in the joyfulness of biking on a road in Tampa without a car buzzing me or a motorist yelling at me to get on the side walk. 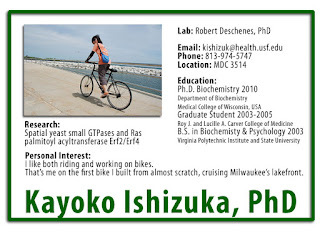 Then I thought, what if Mayor Bob closed Bayshore for two hours from 8-10am before the NOV 4 Sunday Bicycle Bash Festival and allowed the denizens to take it to the streets on their bikes before the bike festival in downtown? What do you think? Is there a more joyful activity than pedaling a two-wheeler on a closed road in a city? You're looking at Bayshore Boulevard right before a running race in Tampa and I took a quick spin this morning and had the road to myself. That never happens around Tampa. Tampa government people should try something different. INITIATE SOMETHING UNIQUE. many cities have bike-sharing programs. In fact, the concept is not even new to Tampa itself. But how about closing one side of Bayshore once a month on a Sunday morning or the top deck of the Selmon Expressway on a Sunday morning when nobody is using the road and open it up to bicyclists for two or three hours. Break out of the average and do something that's original and uniquely Tampa. Daily confessions of an early-morning bicyclist: It just sits there. Lifeless. I still bike over the water as part of my 3 Bridges Ride, but I gaze at the dormant TrailBridge and lament the political leaders who do not understand the potential in their midst. I tilted my head and looked at the sky. Darkness. Yet to my right, only a few feet away, were calm ripples of water off the causeway frontage road. There's nothing like bicycling at night when images are beautifully stark. There's no shades of gray or shades of glare. The ripples off the Courtney Campbell Causeway were artwork in motion. Slight breeze and the air was a bit heavy but cool. Inspiring biking weather. Biking at night is perfectly safe with a good light system and a vest and reflectors. Tonight reminded me how great it is to bike at night. Bridge news update: Pinellas County is considering transfering all rights and funds to Hillborough County. They are allowing Hillsborough to take the lead and not stand in the way. This is great news in the long process of transforming the bridge into an iconic park for Tampa Bay. -- Cindy Roberts, wife of fallen Tampa Police Officer Cpl. Mike Roberts. Cindy rode her bike 250 miles as part of the Police Unity Tour last year and she showed how truly inspirational bicycle riding can be when she rode in the memory of her husband during the PUT. -- Tampa City Councilwoman Lisa Montelione, who has consistently supported bicycling on the city council and as a member of MPO panels. Lisa knows bicycling makes Tampa a better place to live and has used her position to support steps to improve bicycling. -- Architect Ken Cowart and political consultant Kevin Thurman, who this year submitted a business plan to the Hillsborough County Commission that prompted the commissioners to not demolish the Friendship TrailBridge. Not only did their report stop the demolition of the beloved Friendship TrailBridge, which was used by 600,000 annual users before it was closed, but their work has resulted in Hillsborough County government now working on a request for proposal to draw bids to rebuild the Friendship TrailBridge. 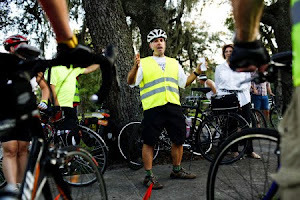 -- Antiques specialist Myron Griffin and Tampa Heights community leader Lena Younghave spearheaded a central Tampa bicycle and pedestrian trail movement called the Green Artery to build a network of paths and trails connecting the green spaces of central Tampa. Their unrelenting efforts have resulted in monthly neighborhood meetings in 20 different central Tampa communities over the past two years and have prompted Mayor Bob Buckhorn to support the concept. SWFBUD congratulates the 2012 class of SWFBUDDY winners and looks forward to the Bicycle Bash on Nov 4 when they will be publicly recognized for their work. There are a few bicyclists in Tampa who can relate. Frustrated over a city dragging its feet about making roads and streets more bicycle-friendly, Dallas bicyclists take it to the street -- literally. The markings are shared lane markings and not bike lanes but you get the point of the story. There's few lines of work where the employees are more stiff and straight-laced than banking folks. Which is why I enjoyed a laugh this morning when I talked to a guy at a Regions branch about the bank's bicycle-theme ad campaign. I asked him why did the bank choose a bicycle to build its PR campaign around and he joked that the bike in the ads don't have brakes, which is good for customers who want life insurance. That was a regular rib-buster. Tampa, Fla. (October 10, 2012) – The City of Tampa released a Request for Proposals (RFP) for a Bicycle Sharing Program today. 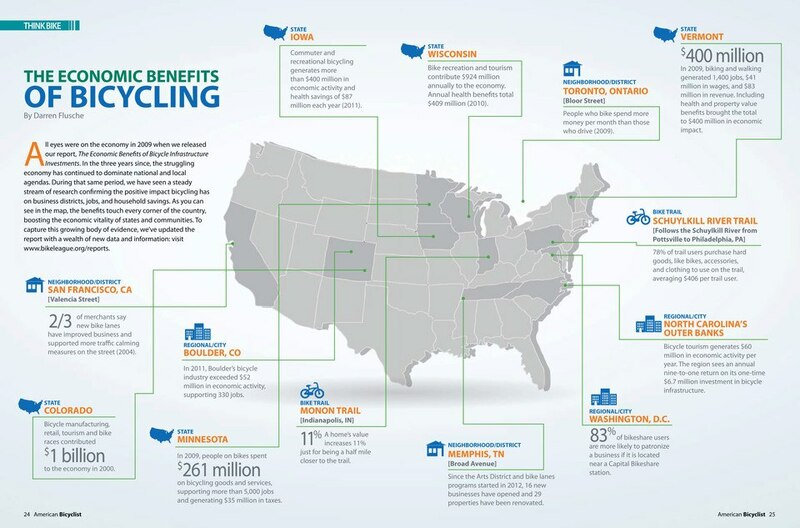 “Biking is a great way to get around - it's easy, fun and good for the environment. It’s also quickly becoming an integral part of how people commute around our urban core,” said Mayor Bob Buckhorn. 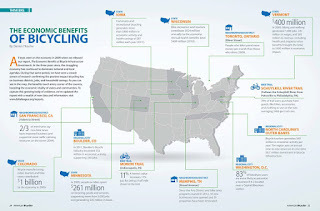 “A bike share system would provide an affordable, healthy option for residents and visitors traveling around downtown and the surrounding neighborhoods." Tampa’s goal is to have 30 stations with 300 bikes throughout Tampa’s downtown core, Ybor City, and surrounding neighborhoods in fall 2013, with expansion phases to continue out to Westshore and the University of South Florida area by fall 2015. The Bike Sharing Program is part of Mayor Buckhorn’s overall goal to make Tampa a more bicycle-friendly community and to expand on our bicycle infrastructure, which currently includes 32.5 center lane miles of trails, bicycle lanes, and signed bicycle routes. All interested parties are invited to submit proposals no later than 2:30 p.m on November 7, 2012 to the City of Tampa Purchasing Department. For members of the media seeking a copy of the RFP, please download it at tampagov.net/pao. SWFBUD thanks the Hillsborough County parks guys at Flatwoods Park and Tina Russo at the Suncoast Trail for hanging Bicycle Bash banners promoting the NOV 4 bicycle festival in downtown Tampa. 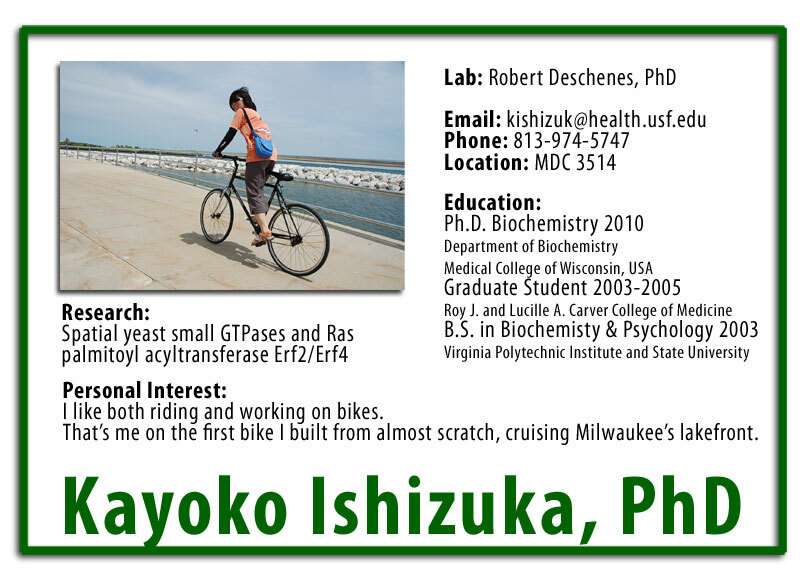 There are also two other Bicycle Bash banners hanging in Pinellas County -- email me with the locations of the other two Bicycle Bash banners and the first three people with the correct locations will get a free Polar Bottle at the Bash. Good luck! Flatwoods hangs Bicycle Bash Banner -- Thanks Guys! I love those guys who work at Flatwoods County Park -- I gave them a Bicycle Bash banner to string up and they had it hanging the next day or two. Thanks Grizz, Eddie, Ranger Rick and other county park rangers! Bobby Valentine, the unpopular Red Sox manager who ticked off his own players, crashed while bicycling in New York City because he was reading a text! 1. The profound sadness in the faces of drivers stuck in traffic. They're beyond mad. It's a blank, defeatist look that evokes pity. 2. The stunning high number of drivers who do not yield the right of way to pedestrians in crosswalks. The DOT lectures people to use crosswalks, yet drivers don't yield the right of way. No wonder so many pedestrians try alternative routes to cross streets -- and then get blamed. 3. The penchant of car drivers to drive fast to red lights. I don't understand this -- why do car drivers speed up to get to red lights? 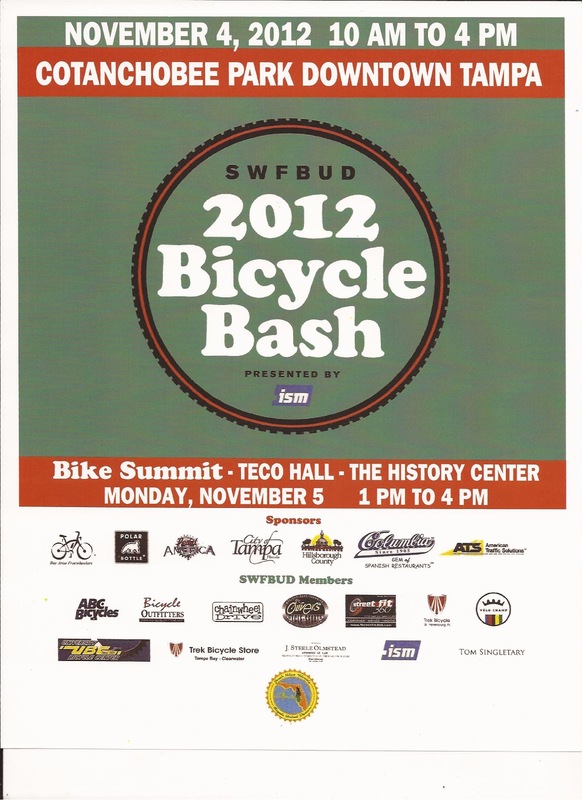 Ride with Tampa Mayor Bob Buckhorn at the 2012 SWFBUD Bicycle Bash Festival on NOV 4. The Bash is from 10 am to 4 pm and the Mayor Bob Ride will be a short ride in downtown at 11 am. 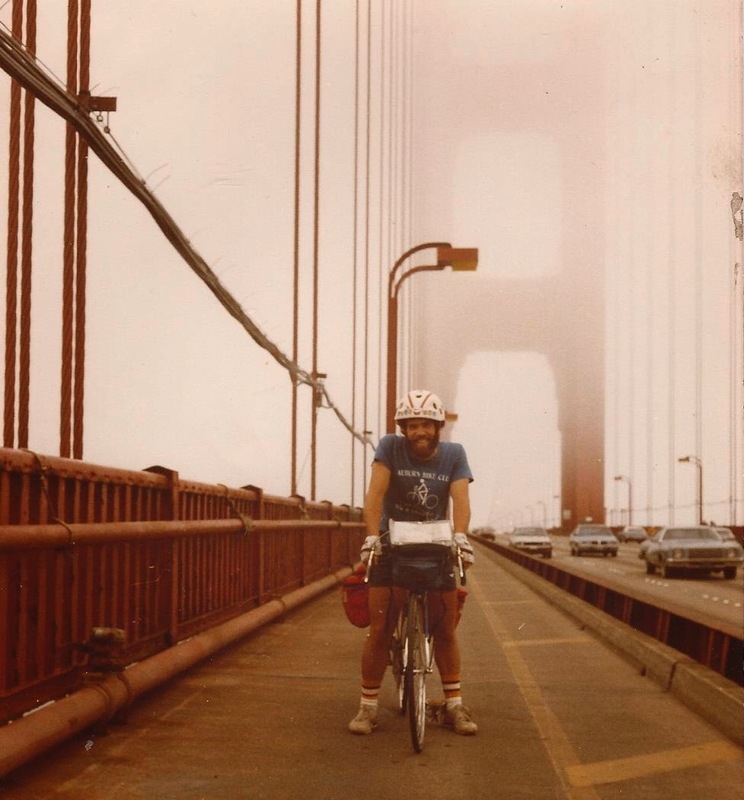 Bicyclist Economic Power in the U.S.